Richard H. Levenstein | Nason, Yeager, Gerson, Harris & Fumero, P.A. Richard H. Levenstein is a shareholder at Nason Yeager. He practices in the area of complex commercial, civil litigation, physician and medical staff representation. 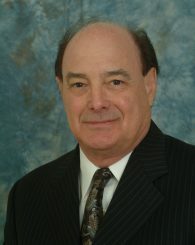 Mr. Levenstein represents clients with business disputes, including actions arising from contracts or torts; his practice also has a heavy concentration in representing individual physicians, professional medical practices and the physician leadership of organized medical staffs around the State. He has successfully challenged the policies of major hospitals, and has won several substantial victories that have shaped the law to protect physicians and medical staffs. Mr. Levenstein is a Board Certified Business Litigation Lawyer and a Florida Supreme Court Certified Circuit Civil Mediator. He represents clients in state and federal court, and in administrative proceedings. Originally from the Bronx, New York, Mr. Levenstein earned his Bachelor’s Degree in 1973 from Tulane University in New Orleans, and earned his Juris Doctor in 1976 from Tulane University Law School. He has practiced in the State of Florida since 1977, and has experience both as a sole practitioner and as a partner in several major firms. He practiced in Boca Raton for 18 years, before relocating to Martin County. In addition to his legal work, Mr. Levenstein is the founding President of the Justice Major B. Harding American Inn of Court and former President of the Martin County Bar Association. He has served on several Florida Bar Committees, and serves on the Board of many national organizations including the American Inns of Court Foundation, The Lawyers Committee of the National Center for State Courts and the American Judicature Society. He is deeply committed to educating the public about the importance of a fair and impartial judiciary, and trains lawyers and judges around the Country how to do so, through the Our Courts America initiative. Mr. Levenstein is also a Supreme Court Certified Circuit Civil Mediator, serves as Adjunct Professor of Healthcare Law at Tulane University Law School and a lecturer at Tulane University Medical School. Nason Yeager provides comprehensive estate and trust administration services. We also have extensive experience in trust litigation.